For anyone that doesn't know me, I LOVE Primark. I am a self confessed PRIMANIAHOLIC. 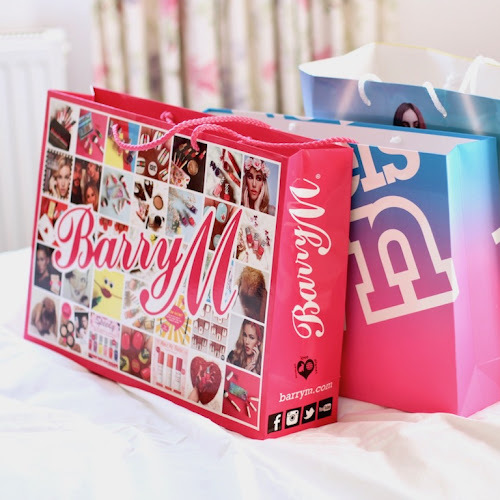 Now considering I spend so much time in that shop and regularly stock up, I thought it would only be fitting that I start posting about my Primark Picks of the Month! After all I spend so much time in there I should know all the latest by now! Every season I tend to have a massive all out binge and go to one of the bigger stores in either Bristol or London. Armed with my wheelie basket, and hours to spare I set about fully scoping out every floor and square inch of the store! Why?! Because the thing about Primark is that half the time some of the absolute gems are buried, hidden at the back of a rail or randomly dumped under a shelf by a wayward customer. These are the items you pick up and go 'No way! and it's in my size!'. Then the clincher comes when you take it to the till and it's even cheaper than you thought it would be! And that my friends is the beauty of Primark, fabulous High street fashion at GENUINE high street prices. Two jackets, a scarf, hat, accessories, jeans, makeup and a top later I had satisfied my routine Primark raid. 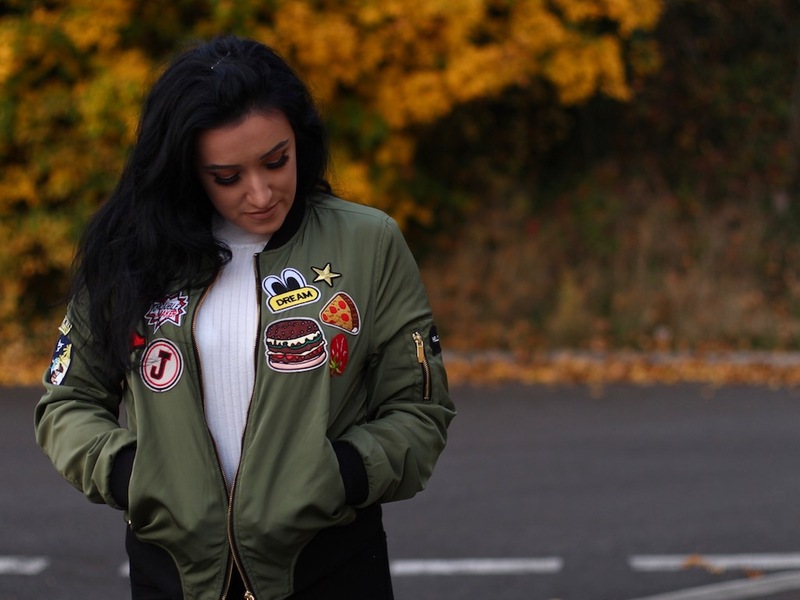 Now this is the first bomber I have ever owned and I'm so glad I finally got my mitts on one! They are just so damn comfy, plus it's great to have a cropped length jacket in your wardrobe that you can just throw on over anything. Sometimes I see pieces that I think 'not sure I can pull that off' but I'll love the colour, the pattern or the style so much that I just go for it and sod the conventions. 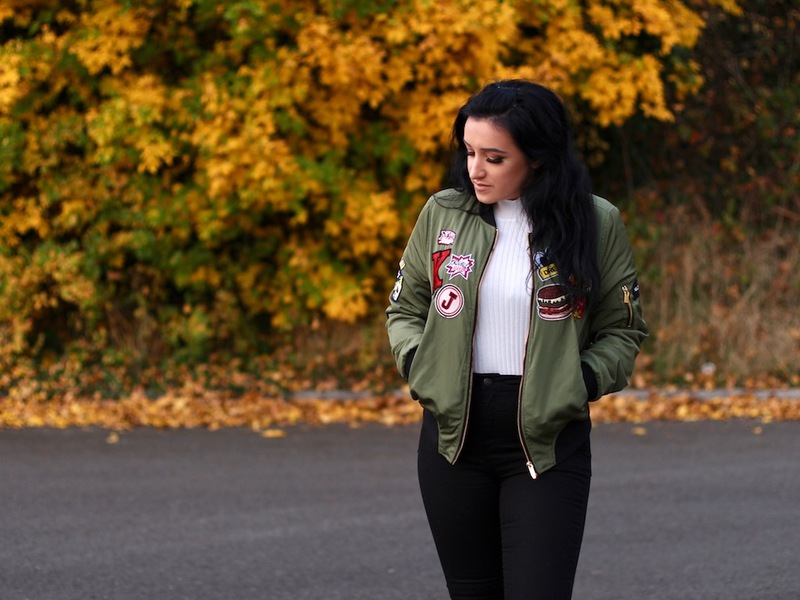 This bomber was definitely one of those occasions. Khaki is one of my go to shades as I feel like it really suits my hair and skin tone so instantly I was sold on that point alone! And hello have you seen those fly looking badges?! I mean if anything is going to make me look G then this is it. Yes I just said G, kill me, kill me now. Can I also get 'hell yeah!' up in here for Primark skinny jeans! I live for their high waisted plain black ones and when I went to grab these they were only £8. Seriously though £8, I mean they might as well just start giving them away, preferably to me! I am ring obsessed, I have a huge bowl in my room just full of ring bling, even though hilariously I don’t always wear them! I’m just like a magpie yanno?! See something shiny and must add it to my collection. 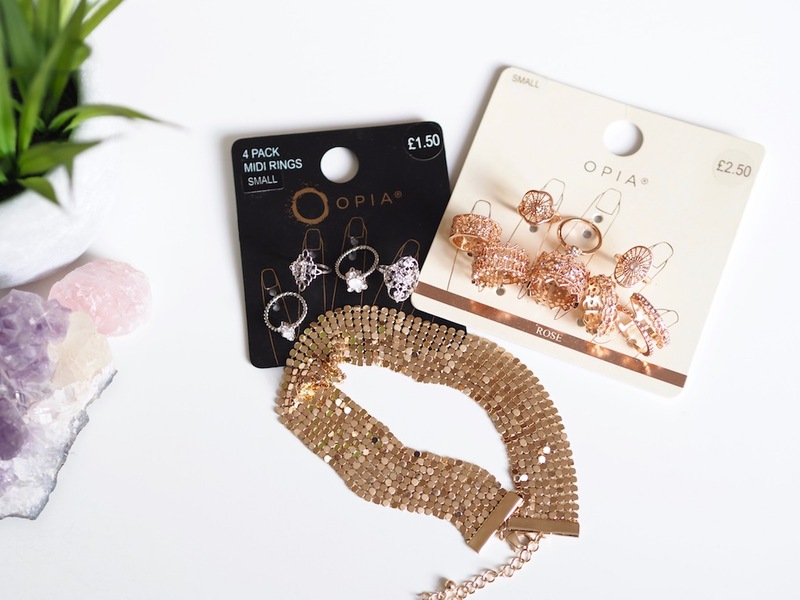 These gorgeous lil ring packs are always a must for me from Primark and yeah they might turn your fingers a bit green over time but no worse than some of the more expensive rings I’ve bought before from Topshop! 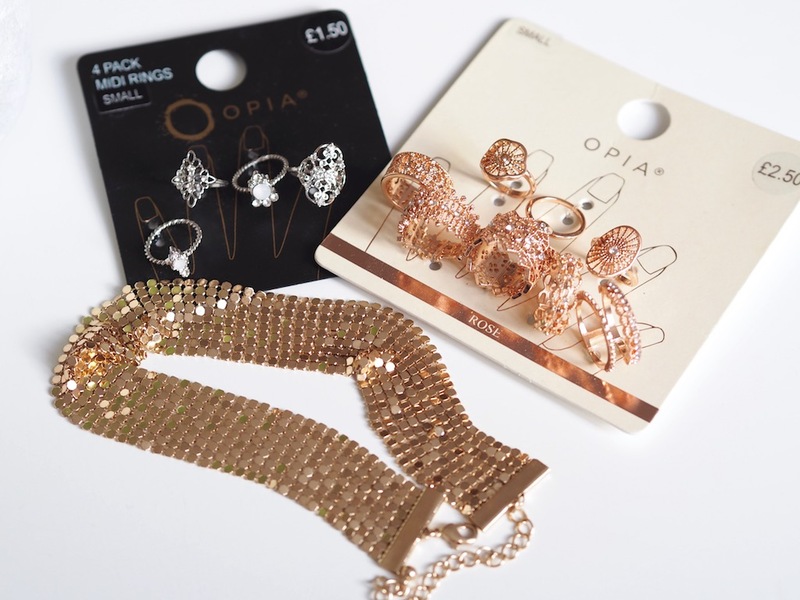 So for less than £3 for a pack of rings you can’t really go wrong, plus they make my hands look like I’m a princess. 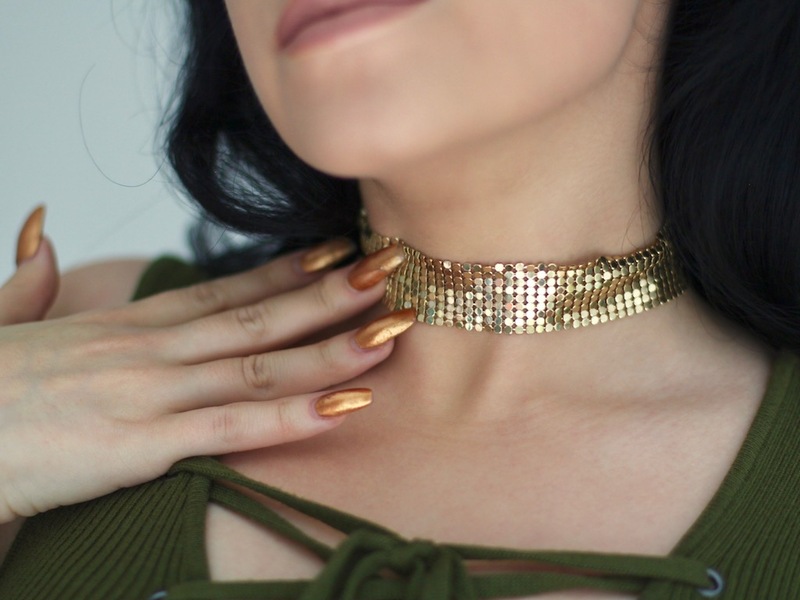 I remember a few months ago, ultimate blogger bae Sarah Ashcroft was wearing this super gorgeous, spandangly gold choker in her snapchat story. She said something about it maybe being too sassy to wear on her trip to Ikea but I was already sold and I was in love. After hunting around on ASOS (she said it would be there) and unsuccessfully able to find it in stock *cries* I gave up…. Until recently I saw this one in Primark for £3!!! It’s almost identical to the one Sarah had and it completes my life. Just look at it. Let me know if you liked this little round up and if you would like to see this become a regular thing!